The Lucas Oil Late Model Dirt Series season is one of the toughest grinds in any form of racing. After all, the series has 52 races that pay at least $10,000-to-win with a number of other events that serve as preliminaries for the bigger shows paying smaller amounts. So any driver and team that proves to be able to follow the entire tour has to be hard working. And not only that, any driver and team that completes the tour while also winning races and competing for championships has not only a great work ethic but also has considerable talent. 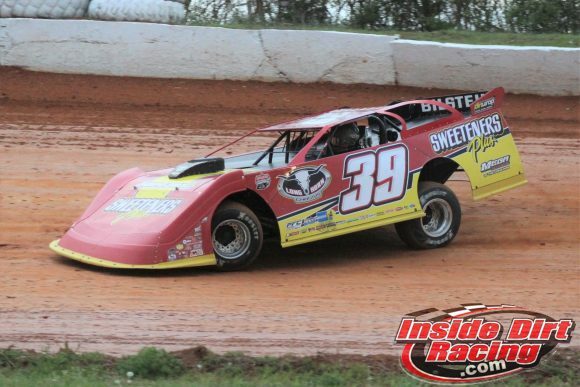 Tim McCreadie is one of those competitors who brings both a grinding work ethic and tremendous talent to the series. The Watertown, NY racer has won some of the sport’s biggest events, including the 2018 World 100, and has even won a national touring series championship. He is obviously someone who knows how difficult this profession can be, but yet, he embraces the lifestyle to which he has become accustomed. 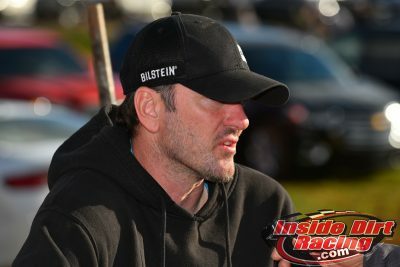 “It’s just like anything,” McCreadie said in an interview with InsideDirtRacing.com. “Once you do it enough it’s all you know how to do, but it definitely is a grind. Nothing is easy in life if you’re trying to be successful. The 45-year-old veteran racer points out that those who have been in the sport for any length of time have developed an ability to sense when trouble might be coming, and thus, work to prevent problems before they occur. McCreadie can often be seen in the pit area of any track working on his own equipment. While he is quick to credit his crew for their efforts, he is very much involved in most aspects of the car’s maintenance and setup. However, he also stresses that the role of everyone, drivers and crew members, who works on Dirt Late Models has changed over the past several years. Adding to the grind for McCreadie and his team is the fact that for most of last season and again this season they do not have their big hauler rig. Instead, they operate out of a dually pickup truck with a trailer. But the driver doesn’t see that as a problem. Even the fact that his team is only capable of bringing one car to the track is not something the former World of Outlaws Late Model Series champion is overly concerned about. Even as tough as this sport can sometimes be, winning a big race such as last year’s World 100 makes the grind worthwhile for Tim McCreadie. That season grind continues this weekend with four Lucas Oil Late Model Dirt Series races held over the course of four days. Atomic Speedway in Alma, Ohio will host the national tour on Thursday while Sharon Speedway in Hartford, Ohio will welcome the LOLMDS on Friday night. Maryland’s Hagerstown Speedway will be the site of Saturday’s tour stop with Pennsylvania’s Port Royal Speedway ending the four-night grind on Sunday.